Marine Corps Times published my story last night correcting the record about Col. George Bristol, a Marine colonel who led a special operations task force in northern Africa the night of the attacks on the U.S. diplomatic compound in Benghazi, Libya. Despite Pentagon claims that he is retired and can’t be ordered to testify about them, he remains on active duty through the end of the month, Marine officials said Wednesday. 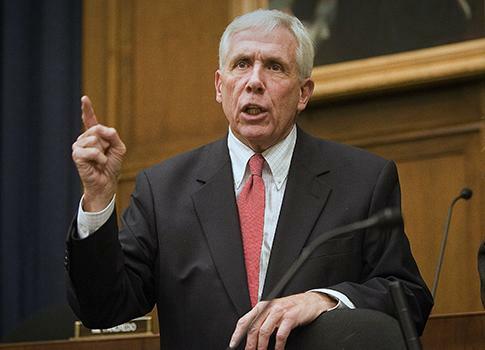 As the Weekly Standard points out today, Rep. Frank Wolf, R.-Va., took to the House floor this morning angry about the issue. Wolf said trusted sources have told him that many, if not all, of the survivors of the attacks, along with other Defense Department and CIA personnel, have been asked or directed to sign additional non-disclosure agreements about Benghazi. Some of them have been signed as recently as this summer, he said. “It is worth noting that the Marine Corps Times yesterday reported that the Marine colonel whose task force was responsible for special operations in northern and western Africa at the time of the attack is still on active duty despite claims that he retired and therefore could not be forced to testify before Congress,” Wolf said. It is unclear whether Bristol was asked or ordered to sign any non-disclosure agreements.